Both gitea and drone is built on golang runs on multiple platforms including a raspberry pi and its super lightweight. Oh yes, and its awesome! 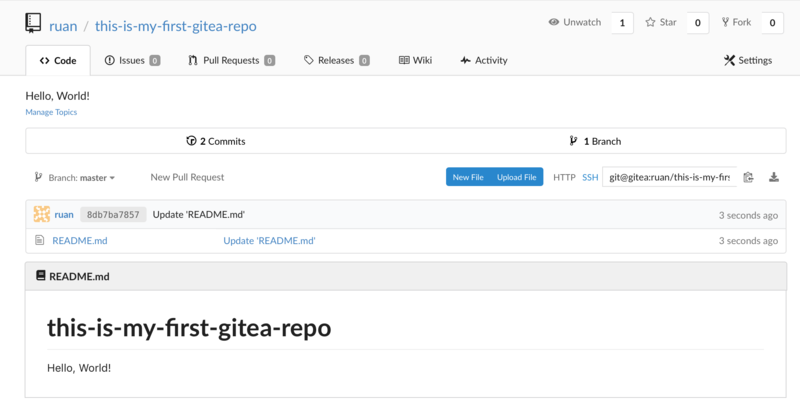 In this tutorial we will see how we can implement our own git service and cicd platform by setting up gitea and drone on docker and commit a python flask application to gitea and build a pipeline on drone. Drone Server: will be server being responsible for the web service, repositories, secrets, users, etc. Drone Agent: will be the workers that runs your builds, jobs etc. We will change our host’s ssh port to something else as our git server’s ssh method will be listening on port 22 and we would like to add our ssh key to gitea so that we can commit to our git server via ssh. Below is the docker-compose file for our deployment. Note that we are running a postgres database which gitea will be configured on, you can also use other databases like mysql, sqlite etc. Visit their documentation for more info. Our SSH_DOMAIN will be the domain that gets used for things like cloning a repository. When you register your gitea account, you will use the same credentials to logon to drone. 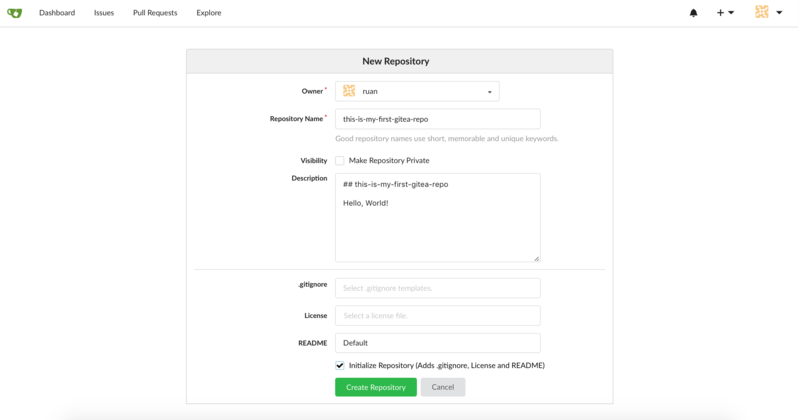 When your deployment is done, access your gitea server which should be available on http://your-docker-ip:3000/ complete the registration, if you decide to go with postgres your username/password will be postgres and your host will be gitea-db:5432. Make sure to complete the administrator account to get your admin credentials. Generate a ssh key that you will use for communicating to git over ssh. If you have already have an ssh key you can skip this step. Login on gitea, once you are logged in, head over to profile / settings / ssh keys: http://your-docker-ip:3000/user/settings/keys. Paste your public key and provide a descriptive title. Once its enabled head back to gitea. I will use a basic python flask application with some tests. $ git commit -m "initial add of our pipeline"
$ git commit -m "add python app"
If everything ran as expected you should see that it passed. Overall gitea and drone is really amazing and quite impressed with it, especially from the low memory footprint and that its so easy to work with.